Food Preneurs, one of the hottest cooking shows on TV, has decided to feature Jewel Bay in an upcoming episode, and everyone in town is preparing for their close-ups, including the crew at the Glacier Mercantile, a.k.a. the Merc. Not only is Erin Murphy busy remodeling her courtyard into a relaxing dining area, she's organizing a steak-cooking competition between three of Jewel Bay's hottest chefs to be featured on the program. But Erin's plans get scorched when one of the contending cooks is found dead. With all the drama going on behind the scenes, it's hard to figure out who didn't have a motive to off the saucy contestant. Now, to keep the town's reputation from crashing and burning on national television, Erin will have to grill some suspects to smoke out the killer. I like the story line, a little slow in places. I think it would be better with a different narrator. She has a pleasant voice but I think the narration is a little slow and boring. 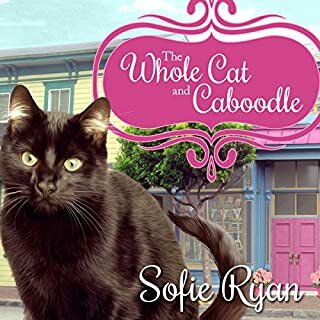 This is a well written cozy mystery with engaging characters and a developed plot. I look forward to the next book. I think the premise, location, and plot of this series are actually very interesting and engaging. I find Erin the heroine to be stuffy, dispassionate and .... well, boring. And insult to injury - the narrator sounds like the robotic voice on an answering service. I tried with 2 in the series and walked away before finishing the 2nd. I just didn’t care who did it as much as I wanted it to end!
. I couldn't tell who was who in this story line. Couldn't get past chapter 4 after replaying 4 times to try keep up. 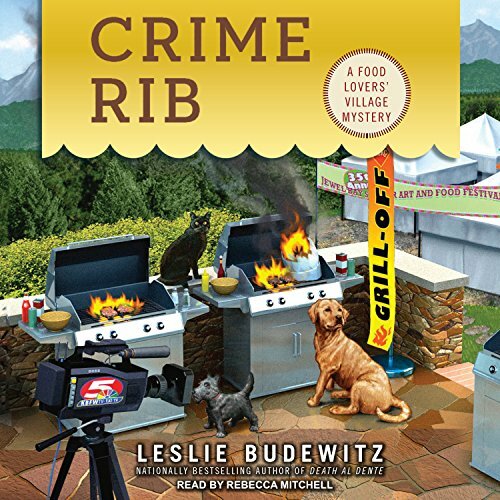 Erin Murphy has been trying to help Jewel Bay gain attention for their Food Lover’s Village, the newly christened name for the specialty food shops in Downtown Jewel Bay in Crime Rib by Leslie Budewitz. Helping to bring Food Preneur, the popular television food show, to Jewel Bay, Erin is disturbed to see several things go wrong. First, two of the three contestants of the contest to grill steak using native Montana ingredients submit too similar of recipes, making Gibb Knox, the host of the TV show, declare that they have a thief in their midst. 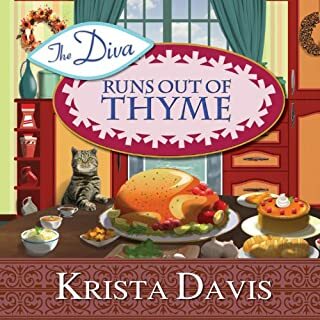 Then, the night before the big cook-off, Erin comes upon a body in the road, only to discover Stacia Divali, the assistant producer of the show, dead from a hit and run. Since Erin’s father was killed in a hit and run incident her senior year of high school, Erin feels especially hurt emotionally by this. But the show must go on, so Gibb appoints Erin to take over for Stacia. The day of the cook-off arrives, and Gibb demonstrates his abrasive temperament yet again, making veiled criticisms about Kyle and Amber, two of the three in the cook-off, but reserving his positive comments for Drew Baker. Then comes the break while Gibb tries to decide to which chef to award the prize, when screams emanate from the parking lot. Tara, whose torrid affair with Kyle ended her marriage to Drew, has discovered Drew, attacked from behind and bleeding badly. Unfortunately, before he can regain consciousness, Drew dies, making it murder. Erin decides that it is time to investigate, despite the pleas and orders of those around her. This book was an enjoyable book to listen to. 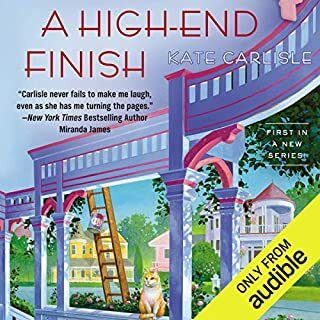 The plot had some interesting points to it, and I thought that Erin’s involvement in investigating the murder seemed more natural in this book than in the previous. 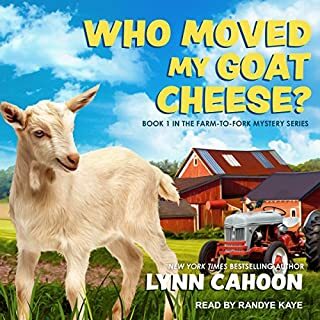 One challenge that faces cozy mysteries is how to involve the civilian in detecting without the civilian’s seeming to be in the way. This book deals with that issue a bit better than the previous book does. But I am getting a little tired of so many cozy mysteries having the civilian’s friends and family order the person to stay out of the investigation, only for everyone to seem surprised and upset when the civilian gets into trouble. The descriptions in this book are drawn so vividly, whether of people, locations, or food. I really feel like I would know many of the characters, especially Erin’s adorable 5-year-old nephew, Luke. Many of the incidental characters, such as the old lady who comes into the shop each day with her three quarters to get a huckleberry truffle, are drawn in excellent detail. The depictions of Montana and its beautiful natural settings, as well as the Food Lover’s Village, make me get some idea why several of my teachers intended to move to Montana upon retiring from their jobs in Los Angeles. I do have to issue this warning to potential readers: This book is liable to make you hungry and crave gourmet cooking! The discussion of so much good food really got me salivating, and I’m not particularly tempted by steak, the main item of food featured in this book. The title did have me a little bit puzzled. Neither ribs nor prime rib was featured in this book, so it seems that the author chose the title merely for the food pun. 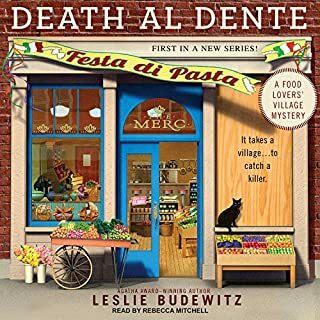 Rebecca Mitchell narrates the audiobook, helping to illuminate the vividness of the book. She adds to the joy of reading the book, and l suspect would enjoy the book less if I were to read it to myself. I really appreciate the audio performance. One thing I really appreciate about Crime Rib is the depth of the writing involved and the high quality of the writing style. Many popular authors think of interesting stories but don’t necessarily have high quality writing itself. 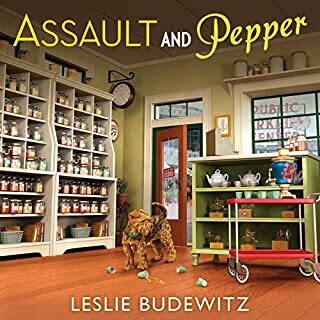 But Budewitz clearly paid attention to her writing classes and has done a good job of showing instead of telling, something all writers are encouraged to do. This book is one I highly recommend with five stars!